Veterans Day Plastic Stretch and Tree Dig! Maybe you’ve never seen those words strung together, and hopefully we’ll never have to say them again, but the time has come to dig up those fruit trees that are still hanging around at Mathewson Farm. 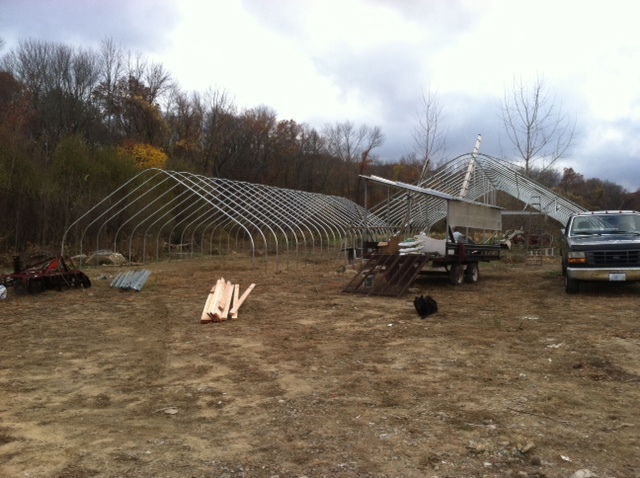 Even more pressing is the need to stretch the plastic over at least one of the hoophouses at the new farm. For that we need a decent gathering of folks on a warm or warmish day that’s NOT WINDY. Wednesday looks perfect. Will you join us? We will make sure it’s not just drudgery! If you come by between 10 and 4 we’ll have snacks and beverages. Matt will lead the plastic stretchery and if there’s enough people, I will lead an expedition to dig trees up the road. 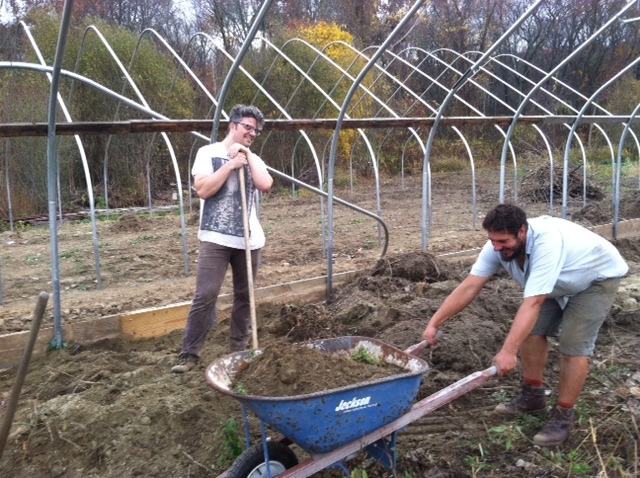 The sooner we get those hoophouses finished the sooner we plant them the sooner we have sweet winter vegetables for you. And you can re-up your CSA membership or 2015CSAInfoandcontract when you come out. Hope to see you on Wednesday! To make sure we have enough people at the same time for plastic stretching, get in touch with Matt so he can make a schedule. I don’t want to have to do a “doodle poll” so email him what time you can be there: marsfarmer75@gmail.com.